Employee motivation and commitment are essential elements of successful businesses. Employees need to feel connected to the company in a way that they can understand the organization’s strategic objectives and see how their contribution plays a role in achieving those objectives. Creating a successful culture of employee engagement requires more than just implementing some tactics to reduce turnover and absenteeism – it requires a proactive and deliberate plan to keep employees energized and aligned with the company so they desire to give their all. Such a plan requires the attention and support of leaders at all levels in the organization. Our training and engagement programs are fully customized to reflect the organization’s goals and objectives. Working with Career Compass Canada, leaders can successfully increase employee engagement to enhance productivity, reduce burnout, strengthen retention, and overall increase productivity. Additionally, management learns how important their role is in the process and the actions needed to sustain a culture of engagement. 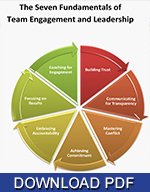 Leading teams for engagement is a core strength that any company or organization needs to aspire to. This is hard work and requires planning and a concerted effort to break down silos and work across demographics and competing interests to work as one team for the common good of the organization. Our unique process brings together a strategy the builds on core fundamentals of healthy and productive teams. No time is more critical in the engagement of employees than when taking on a new role. Whether just hired or transferring within the company, the organization has spent much time and energy selecting the best candidate. Working with Career Compass Canada, organizations can implement the best strategies, processes and support to properly on-board and integrate employees into the fabric of the organization to identify quick wins, build confidence and position themselves for long-term success and commitment. By helping employees proactively analyze and manage their careers, organizations can ensure their workforce is energized and employees are contributing in ways that are meaningful for them as well as the company. Sometimes this means the opportunity to advance into new roles. Sometimes it means the opportunity to develop new skills. And sometimes it means the opportunity to do the same job in new ways. Working with expert career consultants who tailor career planning and career management services to meet the needs of their employees, clients of Career Compass Canada reap the rewards of a renewed and invigorated workforce. Top talent isn’t “a dime a dozen.” Organizations invest heavily in attracting and retaining employees, especially top talent. The key isn’t about throwing attractive salaries and bonus packages at them – it’s about employing effective strategies to reinforce that they are working and growing with the right company. We help employers develop effective retention strategies that not only retain employees but also keep them engaged by providing stimulating challenges, fostering career growth, increasing learning and development opportunities, and enhancing personal as well as business skills. What happens if your CEO retires tomorrow? What about your department leaders? Do you know which roles in your organization are critical to the company’s success? The best way to ensure business continuity and future success is to properly identify the most critical positions and determine who is prepared to assume those roles now, months from now, or even years from now. Surprisingly, many organizations cannot even identify the roles that are critical to its success, much less who might be able to fill those roles if needed. While simple in concept, many struggle with and are just not adequately prepared for succession. Career Compass Canada helps organizations effectively identify critical roles, potential successors and create development plans to prepare individuals, teams and leaders for the future needs of the organization. Optimal performance – it’s clearly a desired state for successful companies and only achievable if one of the key components, the workforce, is operating at its best. To stimulate the finest employee performance, Career Compass Canada works with companies to develop the job performance metrics needed to achieve organizational objectives and helps align the professional and personal goals of employees with the needs of the organization. Critical components include planning and setting expectations, monitoring performance, developing performance parameters, and rewarding accomplishments. On-going review and support allow for modifications and ensure continued alignment so employees and the organization can be successful! If anything is certain, it is change. Whether it is integration of new technologies or processes, different management or organizational structures, or new strategic directions, change is constant in the business world. Those organizations that can embrace change, adapt quickly and move forward are often the ones who finish at the top. However; not everyone can embrace change quickly. And, unfortunately, the inability to accept change can negatively affect employees and their ability to perform effectively causing organizations to stumble during times of change. Career Compass Canada offers a full range of services to help individuals, teams and even leaders better understand, accept and lead through business changes quickly in order to move forward more successfully. Our professional wellness team works closely with our talent management group and has developed an exclusive Wellness 360 platform that is aimed at developing optimum performance and health and is customized to align with company goals and objectives. This strategy integrates key wellness principles that will reduce stress and anxiety while building on mental and physical health leading to happier more productive employees. This is a true win win for all. Workplace Wellness is fast becoming the norm rather than the exception in today’s demanding and stressful environment. Employers are quickly realizing a work force that is committed to health and wellness is one that will be more productive. Absenteeism goes down, morale increases, there is less downtime from serious disease, greater productivity, lower health benefit costs and greater engagement. These are positive outcomes from wellness strategies that become part of a company’s culture. Programs offered by Career Compass are carefully designed to meet your staff needs and wants to ensure maximum participation and positive results. Our programs include nutrition, fitness, life-balance, stress and anger management techniques. We can deliver workshops or one on one depending on the most appropriate timing. Our programs are delivered by professional and experienced certified wellness specialists to ensure best results and leading edge techniques. We also offer a free wellness assessment tool that provides excellent feedback on identifying strengths and gaps. Wellness 360 is available with all of our programs and can be fully integrated with executive coaching, career transition coaching and team building strategies.